Baroness White, former Labour Government Minister, died yesterday aged 90. She was born on November 7, 1909. 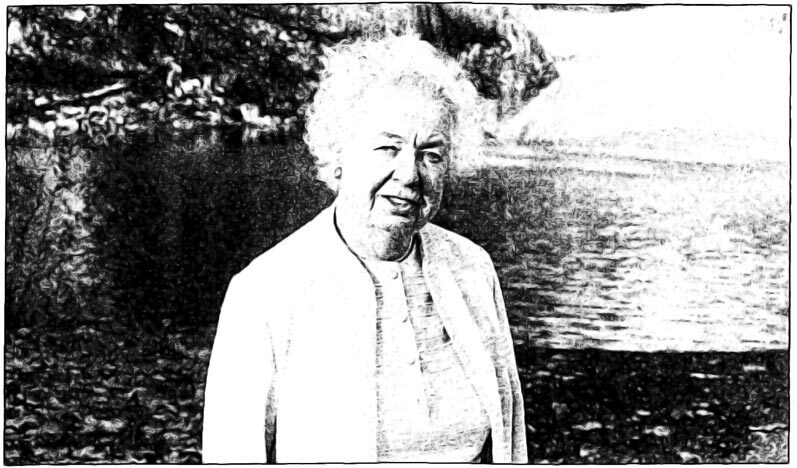 Eirene White was the first woman to hold a ministerial post at the Foreign Office. Her appointment as Minister of State in 1966 after the WiIson Government's second general election victory caused considerable comment at the time. White, who in her own words was no rabid feminist, merely confessed that it was "gratifying" to be the first woman politician appointed to the Foreign Office, which followed her position as the first woman minister at the old Colonial Office. She was a minister throughout the 1964-70 parliaments, took a prominent part in Labour's policy-making as a member of its national executive and continued to play an active political role after she went to the Lords in 1970. She never had any doubt about what she wanted to be. Her father was Dr Thomas Jones, deputy secretary to the Cabinet under four prime ministers: Lloyd George, Bonar Law, Ramsay MacDonald and Baldwin. Tom Jones was the particular confidant of LIoyd George – the two used to talk Welsh together to ensure secrecy – and the author of some of Baldwin's most effective phrases. He refused all honours except the Companion of Honour, but would surely have been pleased to see his daughter accept a peerage in order to become a working member of the Upper House. She grew up knowing famous men. When she wanted to become political correspondent of the Manchester Evening News and had to obtain access to Parliament – provincial journalists were not allowed into the lobby then – her editor, John Beavan, later Lord Ardwick, was impressed to find her application backed by three Cabinet ministers. She was educated at St Paul's Girls' School and Somerville College, Oxford. After graduating she travelled in several countries, studying at a German university, acting as adviser to readers at New York Central Library and observing housing problems in various European cities. During the war she was an officer in the Ministry of Labour. Quite apart from her family history and contacts she was more than normally equipped to become a parliamentary candidate and she fought Flintshire for Labour in 1945, making a huge inroad into the Tory majority. She was anxious to fight again as soon as possible but had to wait until the next general election. She was regarded as a coming figure in the Labour movement and caused one of the surprises of the 1947 party conference by winning a seat in the women's section of the national executive. After her adoption she displayed her determination to succeed in politics by living with a Welsh-speaking family so that she could learn the language of many of her constituents. Within less than a year of entering the Commons she had introduced her Matrimonial Causes Bill which would have permitted divorce after seven years desertion. It received its second reading but she agreed not to proceed with it when the Government undertook to set up a Royal Commission on marriage and divorce. She became a prominent member of her party, due in part to her membership of the executive, but she resigned from this committee in 1953. Her attempts to be a moderating figure during the great Right-Left battles of the early 19505 only had the effect of irritating some of the Right-wing union chiefs who determined the elections to the women's section and so, protesting against intolerance in the party, she decided to jump before she was pushed. She returned to the executive in 1958, however, served on it for another 12 years and was elected party chairman in 1968. She became a frequent speaker from the platform at annual conferences. She had a fine rich voice and was as effective in the Commons as she was at Blackpool or Scarborough or Brighton. She had a well-disciplined intellect and, like her father, a notable talent for mastering a subject quickly. She was a competent debater and could be tart with opponents when necessary. It was inevitable that her ability would be rewarded with office when Labour won an election and she duly became Under Secretary of State at the Colonial Office in 1964. She proved an effective junior minister which led to her promotion to the masculine stronghold of the Foreign Office. She was pleased at the opportunity this gave her to further the work of the United Nations. There was little she did not know about its ramifications or its various agencies and she did all she could to enlarge its opportunities in London. The other aspects of foreign affairs in her portfolio included the countries of southern Africa. In the final phase of her Commons career she returned to the land of her father as Minister of State at the Welsh Office. She did not fight the 1970 election but was soon back at Westminster in the Lords. She served as chairman of the select committee on European Communities and principal deputy chairman of committees. In both Houses she had an easily recognisable style – intellectually confident, effortlessly efficient, almost donnish in manner, obviously capable of beating men at their own game. It was only right that she became chairman of the Fabian Society. She was married in 1948 to John Cameron White, a fellow political journalist. They met, appropriately, at a news conference at No 10. His death from lung cancer in 1968 was a large factor in making her one of Westminster's most pugnacious campaigners against tobacco in all forms. They had no children but in 1971 she testified to the fact that their childless marriage had been perfectly happy and she caused controversy by suggesting that if more couples deliberately decided to have no children it would balance out the birth rate and stabilise population growth.